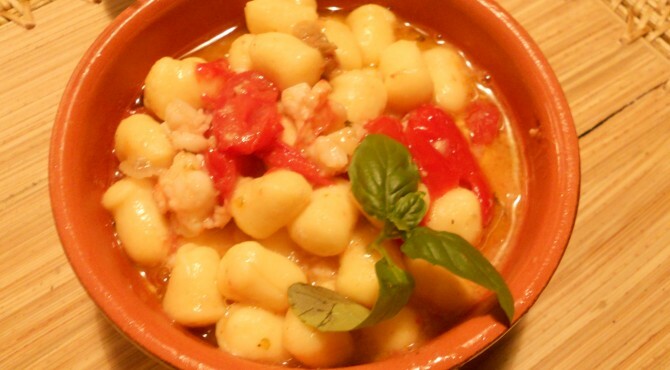 timo | CUCINA ITALIANA – ITALIAN FOOD | Il cibo con il sole dentro – With the sun inside! In winter the cabbage family is really at its peak, and Roman cauliflowers are also really wonderful to see not only to eat. Boil cabbage in salted water for 10 minutes. When you are ready, put them in a pan with oil and garlic and sausage and cook for a few minutes to flavor well. In another pan, put onion finely chopped and fry in olive oil, when golden toast rice until it sizzles. At this point, pour the white wine, add the cabbage and continue cooking with vegetable broth. Before serving, add thyme and pepper and grated Parmesan at will! Tasty, crispy and inviting, they immediately feast on the table! Chop garlic and onion finely and cook in a pot, adding water. When cooked put everything in a blender add all ingredients and create a sauce. 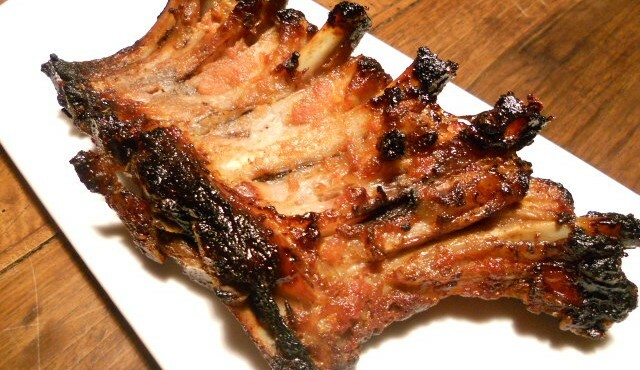 Brush the meat with the sauce and cook on the BBQ or in oven at 200 degrees for 40 minutes, until golden and crispy. For the sauce: 2 shrimps per person, Datterino tomatoes, shallots, garlic, thyme,basil, hot pepper. Boil the potatoes in boiling water, when cooked peel and mash it.. Once crushed salt and add the starch to obtain a consistent mixture. Mix well, and then creat long strings about 3 cm in diameter. Cut it into cubes and one by one roll them over on a fork (to create small cracks that will help the assimilation of the sauce). Remove the heads to the prawns and boil in water for 10 minutes. Cut the shallot and garlic thin and brown with extra virgin oil, add the thyme, the tomatoes cut into small pieces and cook for 5/8 minutes. Peel the tails of shrimp and sliced , add to the tomatoes and cook for 2-3 minutes, adding salt and pepper. Squeeze the contents of the heads of boiled shrimp, and add to sauce. Boil the shrimp cooking water, added with fresh water and salt and when it boils throw the dumplings: they are cooked when they float. Sauté them in the pan with the sauce and serve with fresh basil. 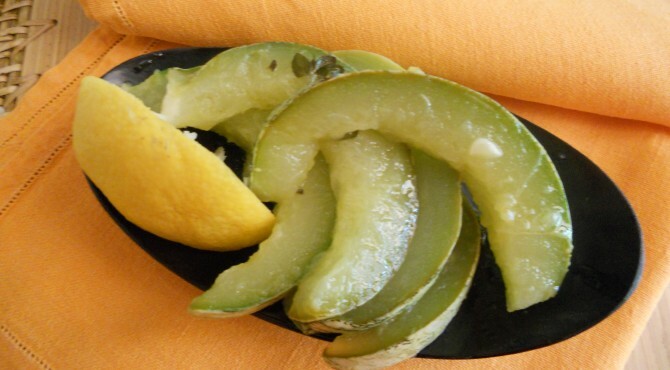 Cut the zucchini into strips ( 3 cm.) removing the pulp. 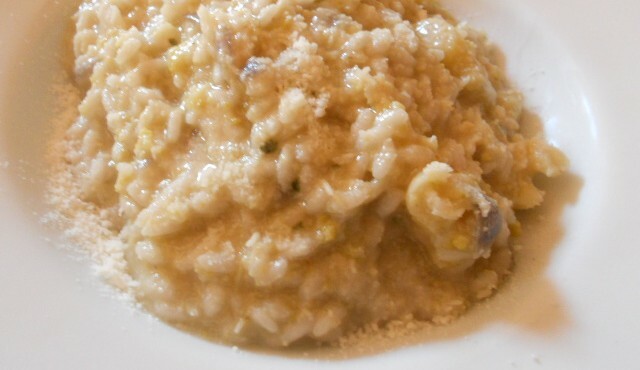 Boil water with a bit of salt in a pot, when boiling cook the zucchini for 3-4 minutes. Drain and immediately stops the cooking in cold water. Season with lemon juice, salt, pepper, thyme and wild mint and olive oil. Keep in refrigerator before serving. Perhaps it would be better to call Penne with oregano because it is the herb that you can taste more! However, with all these beautiful fresh herbs it comes out an inviting sauce, with the sun in! The herbs should all be very abundant, a nice bunch of each. Put the oil in a pan and add the garlic and onion finely chopped, cook a few minutes and add all the herbs finely chopped as well. Cook until the garlic and the onion is golden, add the tomato puree, salt and pepper and cook over low heat for about 15 minutes. 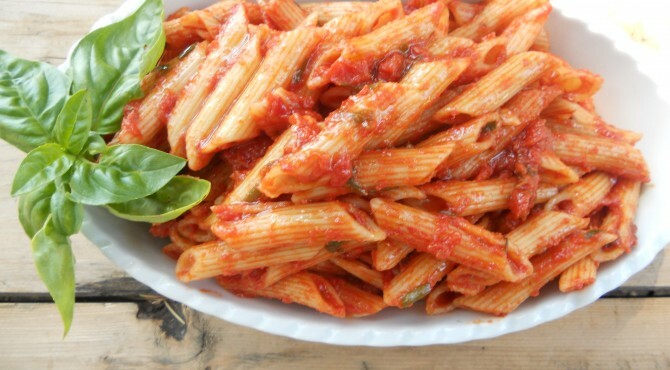 Cook the penne in salted water until al dente, and finish their cooking in the pan with the sauce. When ready , add the diced mozzarella.